There is truly nothing better than snuggling up in front of the fire with a glass of mulled wine on a cold winter evening. If you are anything like us, you will at least double this recipe to share with family and friends. It’s wonderfully spicy and winter-warming and will have you glowing in no time. You could also put all the spices together with the orange in a cheesecloth and simply pull out the bundle when ready to serve. 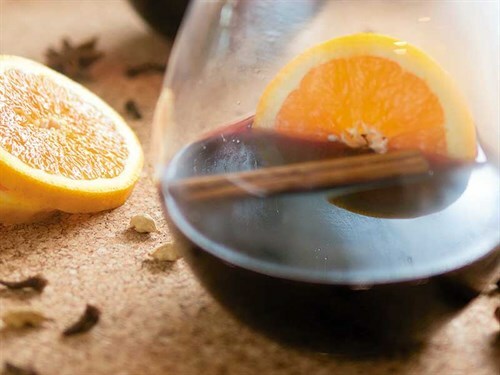 Mulled wine can also be made on low in a slow cooker and kept warm on the bench for an afternoon or evening of wintery goodness. And it smells amazing! Strain off all the spices and orange and serve with another slice of fresh orange.